The awesome part about Disneyland with toddlers is that they are free all the way until 3 years old. That means they enter the parks for free and also can eat for free. Disneyland has typical children’s meals (pizza, nuggets, etc) but they also have several healthy options (grilled chicken, veggies, etc). Before our trip, many people told us to wait until our son was at least 5 years old. I’m glad we didn’t listen because we would have missed out on being able to take our time and do Disneyland with a 2 year old at a toddler’s pace, complete with schedule down time, i.e. nap time. Our trip was surprisingly low stress and a lot of fun. The Disney PhotoPass photographers will take photos with your own camera/phone, but they will also take photos with their camera and post them so you can decide if you’d like to purchase them. If you purchase after you see the photos, it’s about $40/day. The nice thing is you can share an account with everyone in your group and it’s the same price. This service was especially handy when I was away from my husband (who has a nice camera) and wanted to get a few photos with characters when the lines were short. If I were to do Disneyland solo with the kids, I would just use the Disney PhotoPass Service and my iPhone for simplicity. It was imperative that we had the option to go back to the hotel to nap in the afternoon. With all the excitement of Disneyland with toddlers, it’s easy to stay up late each night. It may seem like you are wasting money by not being in the park the entire day, but overtired toddlers (and frustrated parents) don’t make for a happy trip. Staying close to the parks is my secret for enjoying Disneyland with toddlers. 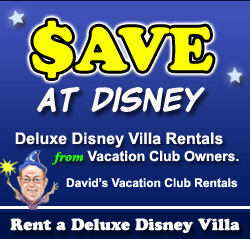 You can get deals on Disneyland Resort hotels and Good Neighbor hotels here. 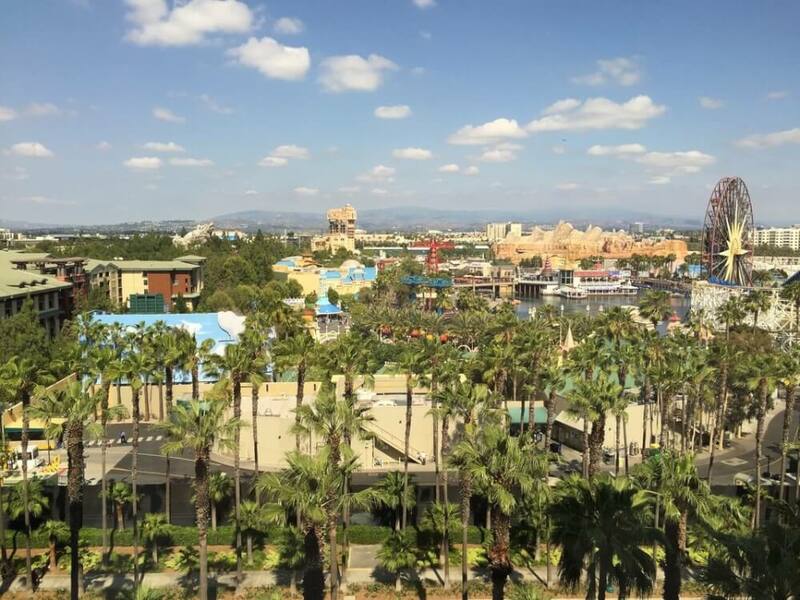 We stayed at Disney’s Paradise Pier Hotel (we got a great rate) and the hotel was lovely! If your toddler typically takes short naps and you are staying off-property, you might consider napping in the lobby of Disney’s Grand Californian Hotel & Spa, the dark Animation Academy at Disney California Adventure Park, or in the stroller. Personally, I also needed some quiet time where I could rest before continuing the day at Disneyland with toddlers. I’d recommend doing Disneyland Character Dining on days you will not be in the park just so you aren’t cutting into park time. These are great to do on travel days to extend the Disney experience. Some characters (like Stitch) only seem to be available at Disneyland Character Meals. Others have really long lines to meet them in the park, so this will save you time. And time is crucial when exploring Disneyland with toddlers. UPDATE: As of July 2018, some character meals have changed. The princess lunch at Ariel’s Grotto is no longer there. The new character breakfasts are Donald Duck’s Seaside Breakfast and Mickey’s Tales of Adventure Breakfast Buffet. 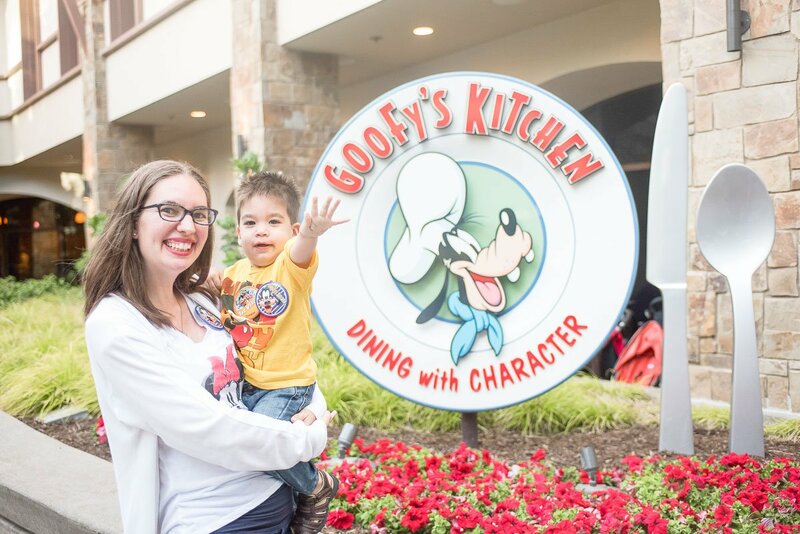 READ Goofy's Kitchen Character Breakfast - Is it Worth It? 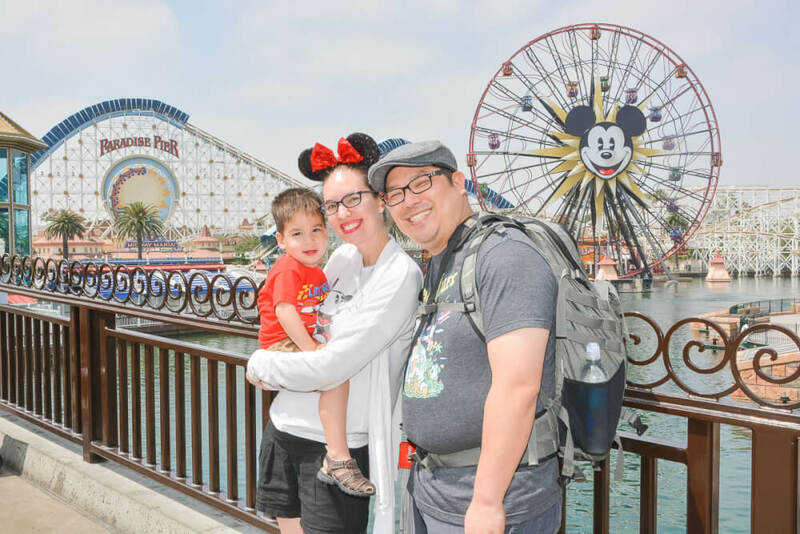 Sitting at a restaurant provides a great break from all the activity of the park and can help toddlers (and parents) recharge after the Disneyland activities. You can make reservations for restaurants up to 60 days ahead. We appreciated being able to sit down, eat a more substantial meal and re-hydrate while talking about what we were enjoying most about the parks. It also gave us time to clear our heads and think realistically what our next steps should be. Because we stayed on property, we were able to enter the parks a full hour before the general public using Magic Hours, meaning the Dads were able to do some of the crazy busy rides in under 5 minutes (which were later hours long lines). Many of the multi-day passes include one day where you can use Magic Hours. 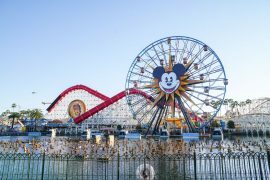 They alternate between Disneyland Park and Disney California Adventure Park, so make sure you know which park has them each day so you can plan accordingly. We took full advantage of Magic Hours at Disney California Adventure Park and our toddler was able to get photos with all the Cars characters, do all the Cars rides he was tall enough for multiple times and head to “a bug’s land” inspired by Disney•Pixar’s A Bug’s Life all before the park opened to the public. It saved us a lot of time! There were so many Disneyland rides for toddlers in this area! Especially if you go in the off-season, several rides will be closed do to refurbishments. 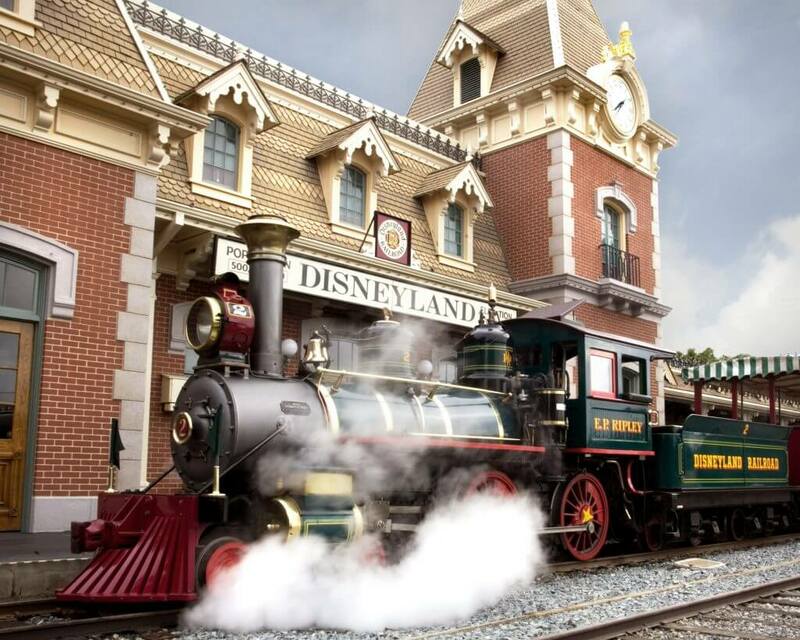 When we went, the Disneyland Railroad and the Disneyland Monorail were both under refurbishment. I knew this ahead of time, so I didn’t plan on using either of these for transportation or for down time at the park. It also gave us a heads up that my husband’s favorite rides were going to be closed. 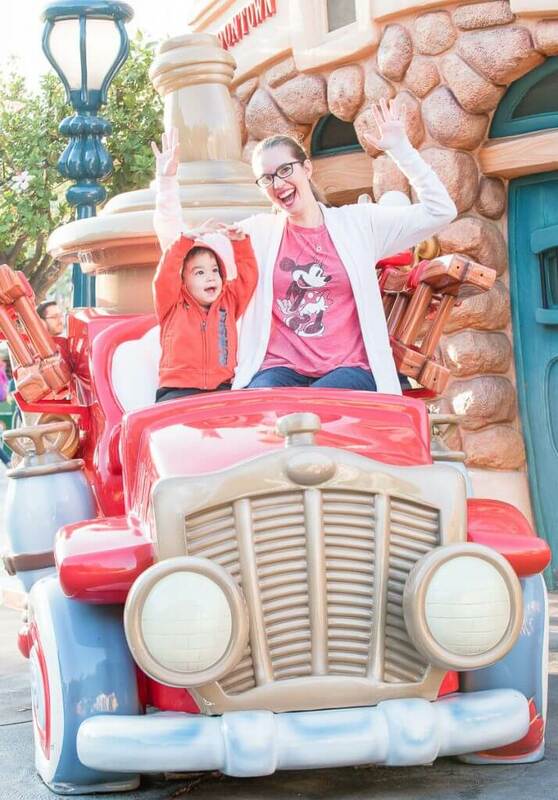 As kids get older and have favorite rides they look forward to, it’s nice to be able to manage their expectations and let them know if their favorite ride will be unavailable so they have time to process. Thankfully, there weren’t any other Disneyland rides for toddlers under refurbishment during this trip. But, I did show my son videos of the rides. 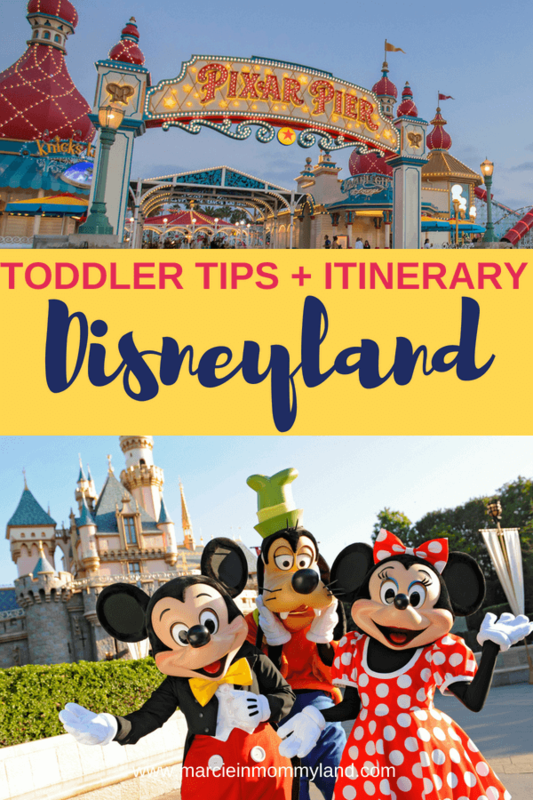 Read more about 7 Ways to Prep a Toddler for Disneyland in this post. I can’t tell you how much easier it is to travel with another family whose kids are the same age as yours. We were able to switch off nap duty so the Moms could stay in the park one day and the Dads could the next. 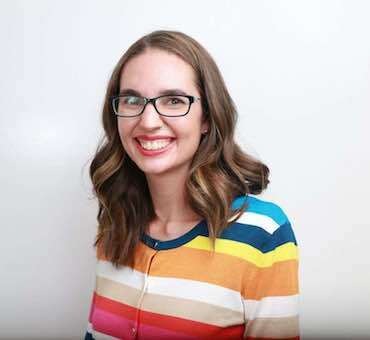 It also meant that Moms could take the kids on Disneyland rides for toddlers while the Dads did Disney FASTPASS® Service for other rides and vice versa. Plus the kids were able to play in line together to help pass the time. UPDATE: The new MAXPASS is worth looking into as a FASTPASS alternative. 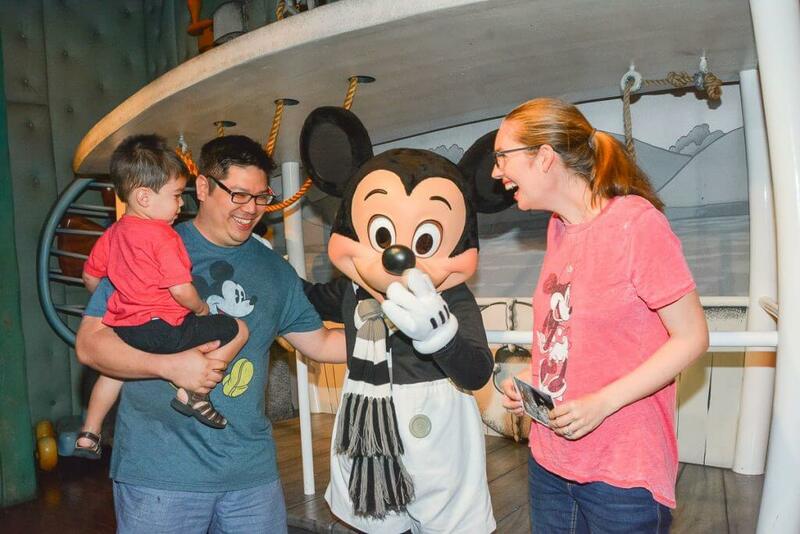 If your child seems scared of Mickey Mouse, it might not be worth it to wait in line for a photo (where your kid may be crying or nestling into your arms). Same goes for Disneyland rides for toddlers. If your child is afraid of a certain movie, character, or type of ride, don’t force it. The goal is for your child to have a fun time. My son LOVES trains and didn’t mind the wait to get to ride one. He also loved “it’s a small world” and it was such a special experience for both of us because he was really awed by the ride. I pushed him to do Flik’s Flyers inspired by Disney•Pixar’s A Bug’s Life ride, even though he said he didn’t want to, and it ended up being one of the only rides neither of us enjoyed. If you have a small child who is unable/unwilling to go an a ride, you can get a Rider Switch pass so both adults can go on the ride on after another without waiting in line again. This is a great way for both adults to go on favorite rides. This would probably be most helpful if you had an older child because then the older child gets to go twice. Because I’m pregnant and couldn’t go on some of the rides, we never needed the Rider Switch pass, but I can see how this will be very handy in years to come. 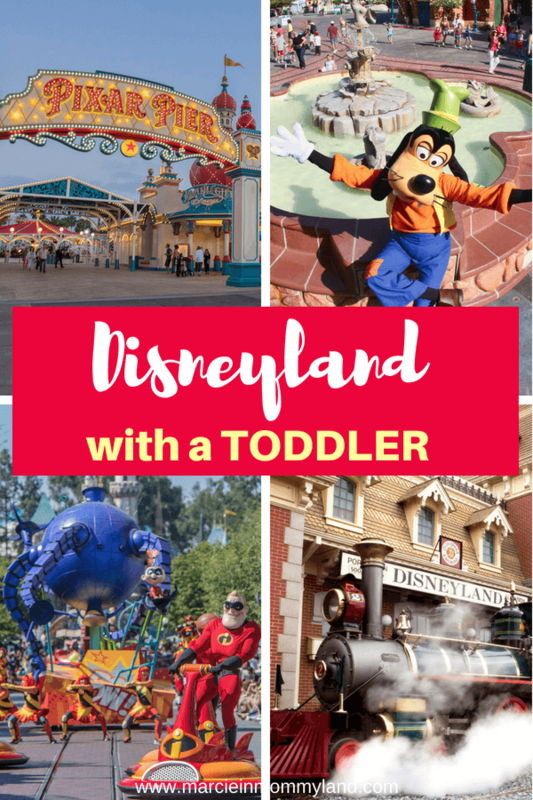 UPDATE: See how I used the Rider Switch in my post How to Survive Disneyland with a Preschooler. 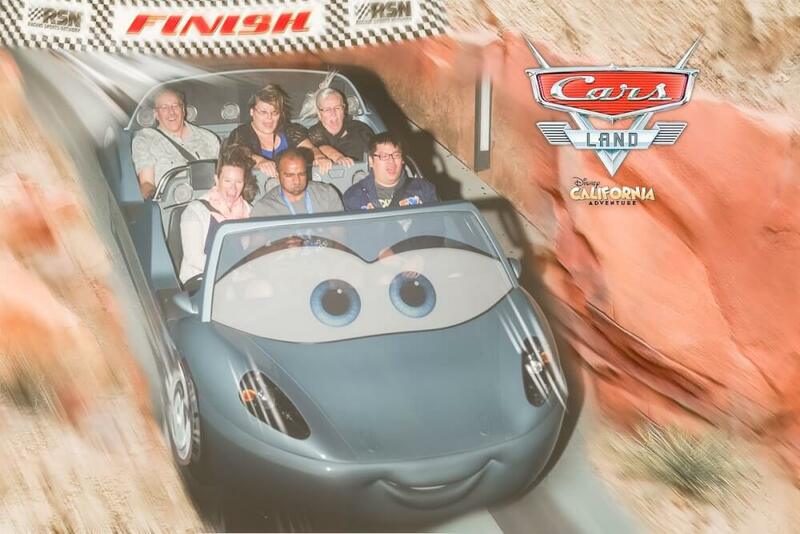 We used the Rider Switch pass to enjoy Radiator Springs Racers at Disneyland with toddlers. Photo credit: Disneyland PhotoPass service. This Disneyland app saved us so many times! Not only does it give you the wait times for the rides, but it also tells you where characters are, where the nearest bathrooms are, where restaurants are and serves as the portal for your Disney PhotoPass service. 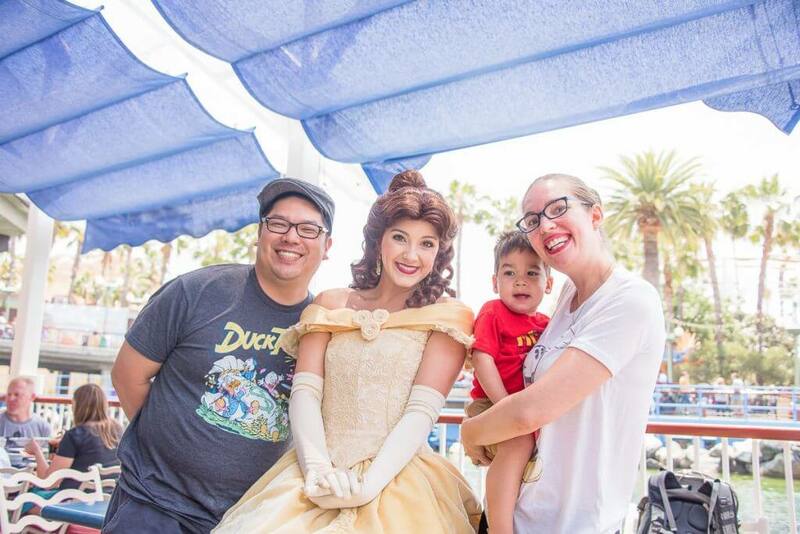 The app helped us feel organized when navigating Disneyland with toddlers. UPDATE: Disneyland just debuted their new Disneyland Play App as a fun way to enjoy your time waiting in line for rides.
. Because you may be splitting off from your group or using your phone to take lots of photos and videos, your battery might drain more quickly than usual. This is also the case if you are constantly pulling up the app or letting your kids watch videos/play games on your phone in line. We let our son watch a lot of videos while waiting for Disneyland rides for toddlers. The most heartbreaking thing about visiting Disneyland with toddlers was seeing parents yelling at their crying kids. Most of these kids looked exhausted and possibly hungry. I know first-hand how stressful it is when your toddler is not on best behavior when you are doing something special. This is why it’s so crucial to set realistic expectations for your trip. We went in knowing this trip was primarily for our toddler and it was a scouting trip for future trips to Disneyland. With that mindset, it was easy to tell ourselves that we’d had enough each day and we would do the rest another time. We also knew that the nighttime parades and fireworks would probably not be in the cards for us this trip because it was past bedtime. Our main theme was this was a fun trip and if someone wasn’t having fun, we needed to change what we were doing. Disneyland is not a good place to “wing it” when traveling with a toddler. Ask everyone in your group what their priorities are. I made sure that my husband had time to do some of his favorite rides from his childhood, that we hit up the classic photo spots, and that our 2 year old got to go on lots of Disneyland rides for toddlers! It’s really nice to group the rides/attractions by section of the park. That way, you can park your stroller and walk around and do everything you want in that area and move on to the next. Entered Disneyland Park and did “it’s a small world” and the Casey Jr. Circus Train and caught part of the parade. It was a great way to familiarize ourselves with the park and we got our first taste of Disneyland churros. We only did this because we had free entry into the parks. Normally, we would have gone back to the hotel to rest. 8am Reservation for Surf’s Up! Breakfast with Mickey and Friends at Disney’s Paradise Pier Hotel. In hindsight, we should have saved this for the day we flew home because it meant we missed the Magic Hour and didn’t arrive to the park until 9:30am, when things started to get busier. UPDATE: The Surf’s! Up! Breakfast with Mickey and Friends is now Donald Duck’s Seaside Breakfast. Finding Nemo Submarine Voyage inspired by Disney•Pixar’s Finding Nemo. This was a deviation from our itinerary and it put us across the park, but my husband really wanted to do it. Flexibility is also important when doing Disneyland with toddlers. Silhouettes on Main Street, U.S.A. For $10, you can get a silhouette cutout of your child and it’s finished in mere minutes. We did this right before our lunch reservation across the street. Star Tours—The Adventures Continue ©Disney/Lucasfilm Ltd.
Dinner at Café Orleans This was my favorite restaurant! I had the beef crepes and pureed peas and shared a Monte Cristo sandwich. Both were excellent! Mickey’s House and Meet Mickey We did this twice within 15 minutes and got Disney PhotoPass service photos with two different Mickeys! Chip and Dale’s Treehouse This wasn’t as fun as we anticipated. Goofy’s Playhouse This is an indoor and outdoor play area with a padded floor. Great for kids to run around while parents sit down. We did “it’s a small world” again There was no line. We grabbed churros on our way out of Disneyland Park, making sure to leave before the parade began. Dads tried to do Radiator Springs Racers since there was a 5 minute wait, but the ride closed when they got in line. Moms and Toddlers got in line for Luigi’s Rollickin’ Roadsters and Dads were able to join us before our turn. The boys loved it so much that we hopped right back in line. 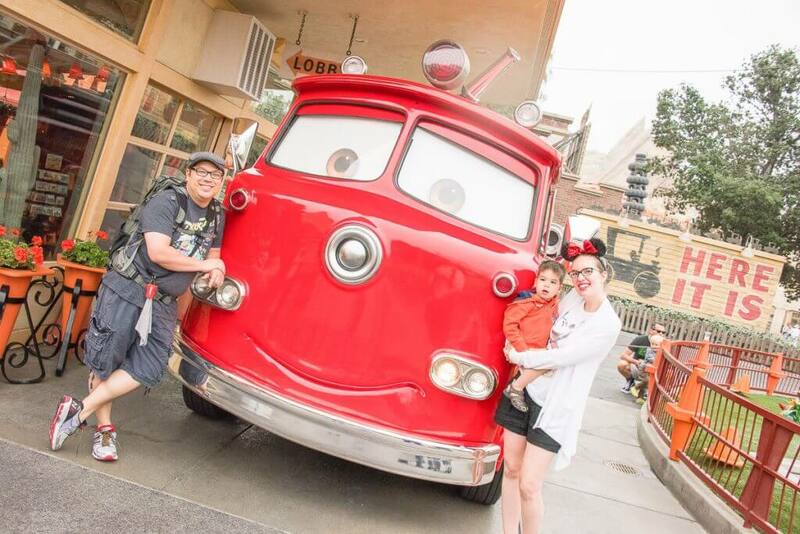 Disney’s PhotoPass Service photos with Lightening McQueen, and watched Mater arrive. Dads used Disney FASTPASS Service to get tickets for Radiator Springs Racers. Timing was for after dinner. Heimlich’s Chew Chew Train: This is a very short ride, but the toddlers loved it. Flik’s Flyers inspired by Disney•Pixar’s A Bug’s Life: We should have listened to the toddlers saying they didn’t want to do this ride. 11:20am met Princess Ariel and enjoyed the Character Lunch at Ariel’s Grotto. UPDATE: As of July 2018, this character meal is no longer offered. Monsters, Inc. Mike & Sulley to the Rescue! inspired by Disney•Pixar’s Monster’s Inc.
Pixar Play Parade inspired by all your favorite Disney•Pixar’s films. This was fabulous for adults and toddlers alike! Shopping for sweatshirts since Anaheim gets chilly at night! My husband did the Roger Rabbit’s Car Toon Spin ROGER RABBIT Character© Disney/Amblin Entertainment, Inc. while I took my toddler to sit on all the cars in Toon Town. We had a late check-out of Noon, so we went back to the hotel to pack up and check out. Then we grabbed a taxi so we could get In-N-Out on our way to our other hotel (Disney’s Paradise Pier Hotel was sold out for our final night). At this point, my toddler was exhausted, so we took the shuttle back to the hotel and ordered room service for dinner and called it a night. We had such a fun time that we are already trying to figure out when we can go back. 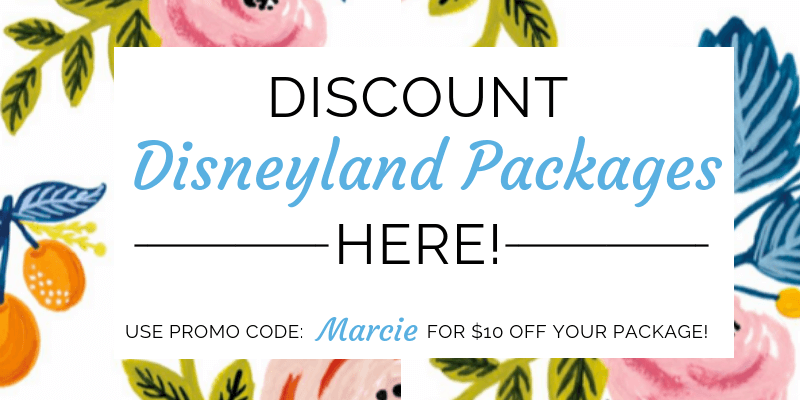 If anyone has tips for doing Disneyland with a newborn/infant and toddler, please let me know! I was searching for “disneyland for preschoolers” and your website came up. I can’t believe no one has commented yet on how this is a tremendously useful post! Many thanks for sharing your experience! Wow! Thanks for your comment! It really made my day! I’m glad you found it useful! Enjoy your trip and let me know if you find any other useful tips! Hey i loved your post. My wife and i have been to Disneyland together about a half dozen times in the last 8 years but we are taking our two year old next month for his birthday. How old were the kids you took? Our son was 2 years and 5 months and our friend’s son was 2 years and 2 months. 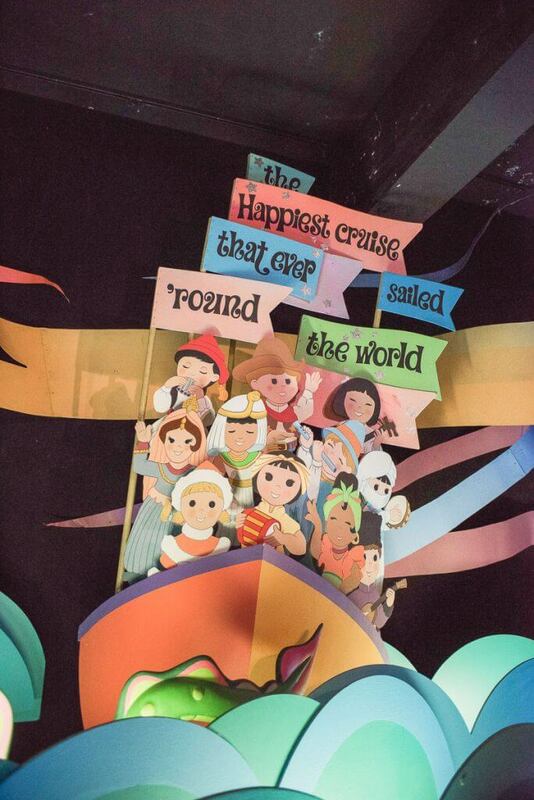 They were a great age to do many of the rides and festivities. Have fun!!! So we will only be able to do one Character dining. We bought the premium dining experience. In your opinion which place has the best food and which one had better interactions with characters? Ariels Grotto or Goofys Kitchen? If you are hoping to see Disney princesses and don’t want to wait in line, I’d do Ariel’s Grotto. However, if the princesses aren’t on your must-do list, I’d definitely do Goofy’s Kitchen. The great thing about Goofy’s Kitchen is that you’ll see a lot of the classic Disney characters and since it’s at the hotel, you don’t need a park pass to do it. So, you could do it for dinner the night your arrive. Plus the food is surprisingly tasty and the environment is really fun! It will be interesting to see if my 3.5-year-old will nap when we visit this summer! We’re taking a trip to disney world next year! They’ll be 9, 3 and 2 by that time. I cant wait! I was also told to wait till they’re like school-aged, but i feel like all the excitement is different by the time they’re a bit older! I saved this post, so i can make a list of your suggestions to remember! I think it depends on if you plan to do multiple Disney vacations with your kids. If you were just going to do one, I can understand waiting until they are a bit older. But, if you think you’ll go a few times, it’s so fun when they are little! Thank you so much for the FANTASTIC tips! I love that they are so specific and not generic. We have never attempted anything big like Disney with our crew, but I am definitely bookmarking this for when I do. I couldn’t believe how amazing the customer service was everywhere! It really made traveling with kids fun! Thank you for these helpful tips! I especially love the idea of traveling with another family, it makes for double the memories with friends and your children. YES! We hadn’t done much traveling with families before, but we have since done it frequently! Our boys had a blast entertaining each other and it was nice to be able to split up a bit more! 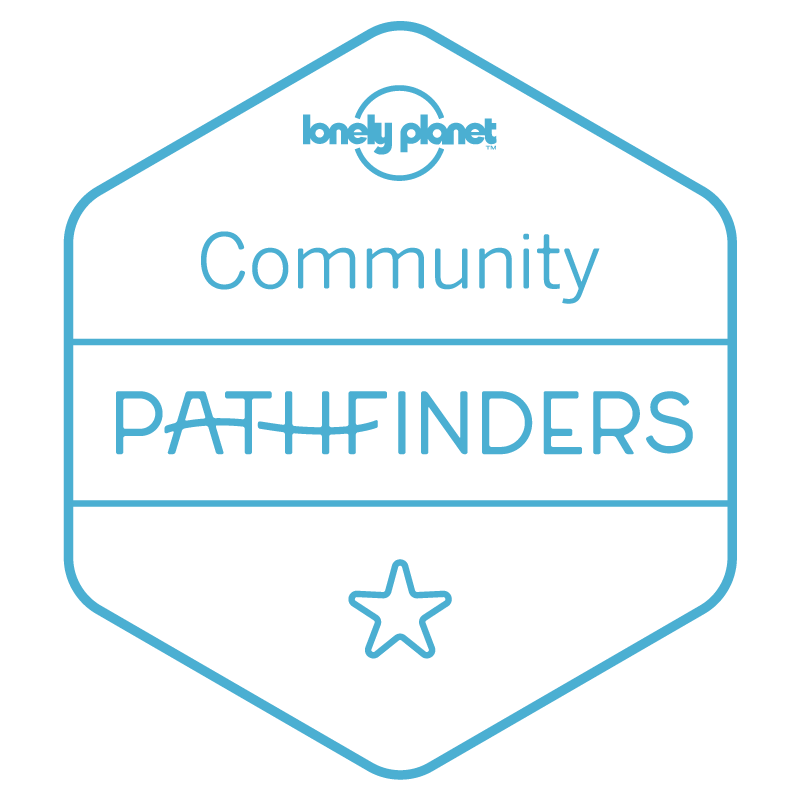 While this post isn’t extremely relevant to me personally (I’m a 22-year-old solo traveler without children), I know it is an extremely useful resource for your intended audience. They’d definitely appreciate your tips and information. 🙂 And, actually, it did give me a different perspective for Disneyland. I’ve been there several times, when I was a little kid, and as an adult, and this post made me realize how different the experience is for everyone. Even though you’re on the same rides and seeing the same awesome sights and characters (and fireworks! ), it’s vastly different experiencing it for yourself and when you’re there mainly for your child to experience the magic of Disney. Thanks for sharing! Exactly! I’ve only been as a parent and so I wondered what it would be like without kiddos. I love how magical everything felt when I saw my son experiencing the rides and characters. It helped me stay in the moment with him! That’s amazing that you guys got to your for free. If we ever go, I definitely want to have lunch with a character. That sounds like so much fun!! Yes! We are so lucky to have a friend who got us in. We’re heading on our own this summer and the ticket prices really add up! Oh wow this looks like such a blast! I have yet to take my 4 kids to Disneyland. I have only been once myself and it was so much fun. I don’t know when we will finally decide to take them but I definitely need to keep this handy. These are some really great tips! I think listening to your kids is a big key. They are pretty efficient at conveying what they need without actually saying it! Thank you for sharing all this great info! Yes, it’s a fine line between doing everything you want to do (getting the most bang for your buck) and sitting back to enjoy the experience. We’re heading back in June and I actually just added an extra day to our trip to make sure I don’t rush everybody. Wow, what a great list! I had no idea about the photo pass, I haven’t been down to Disney in a few years so I missed that update. That’s a nice new feature that they have. The Photo Pass was awesome! It’s great if you can designate one day as “picture day” so you just buy that one day’s worth of photos. I’m dying to take my one year old next year and everyone says wait! I think we will go anyway! They are free until they are 3, so take advantage! It’s a great way to explore the park before they have strong opinions on which rides they’d like to do! We like to go to Disney World quite often since we live so close here in Florida. I am also glad we didn’t wait for our daughter to be older. She has so much fun starting at 2 years old. We’re hoping to hit up Disney World next year. I’ve heard we’d need a full week to really explore! 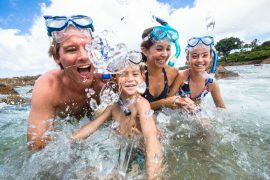 As someone who doesn’t have kids, I have to say I never would have thought traveling with an under 5 would be stress-free but you convinced me and as someone who LOVES pictures I had never heard of the photo pass. Which if and when I head to Disneyland again, I will deff be using that!! So much about travel is about attitude. If you think you’ll have a miserable time traveling with kids, you will. Otherwise, if you take it as it’s own adventure, you may be surprised how smoothly it may go. Plus, Disney customer service is excellent and really helps with the stress! Great advice for parents and grandparents. I’m bringing my Mom for her first trip this summer and I’m excited to see her experience as a Grandparent! We are past the toddler age. But we are looking forward to someday taking both of our boys to Disney. Each age/stage is so different! We’re heading back with our son who will be 3.5-years-old and I already can tell he will want to do some things differently. We saw a lot of parents snapping at their kids because they kids were tired and the parents wanted to do more rides, watch parades, etc. It was kind of heartbreaking. I know the cost of Disneyland is a lot and it makes sense to want to get the most bang for your buck, but pushing kids beyond their limit makes for a very stressful experience. Definitely keeping this for reference! We would love to go soon, but the thought of taking four young ones is a little intimidating. Thanks for all the tips that will make planning it so much easier when we go! Yes, taking four little ones would be difficult! If you’re able to bring along extra adults, that would make it much more manageable! great tips here, thank you for sharing! Thanks! Hoping this helps other families! I couldn’t believe how much I enjoyed the experience! It really is magical to see Disneyland with kids! This has so much useful info!! I didn’t know most of these things. We have a four year old and a 16 month old and the idea of traveling with them to Disney is pretty terrifying to be honest! I think you hit the nail on the head when you mentioned setting expectations and remembering the trip is for the kids and if they aren’t enjoying themselves, no one will! I can’t wait to take our boys to Disney! Thanks for all of the great insights. Glad I could help! I’m heading back this summer with my 3.5-year-old and 6-month-old, so it will be interesting to see how it is with 2 littles. This is a fantastic post! I can’t wait until my little one is old enough to finally do disney (he is still under a year). I remember all the times I went as a kid and can’t wait for him to have that experience. You posted some INCREDIBLE information here. I can’t wait to refer back to it once we are ready to take the Disney adventure! Glad to help! Two and a half was a great age because he was tall enough to do a lot of the rides and his meals were free! It’s totally your call! 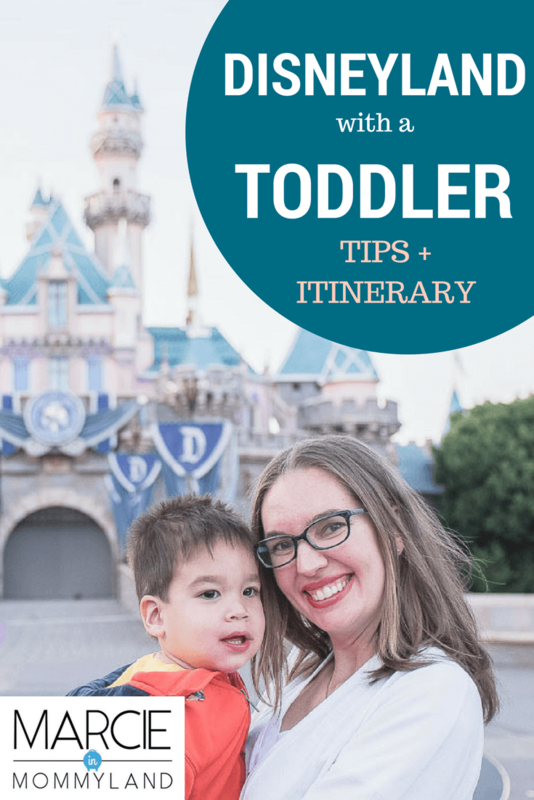 If doing Disney with toddlers will stress you out, wait until you feel more comfortable! It’s so important that everyone enjoys themselves! Perfect! It’s such a fun age for Disneyland! 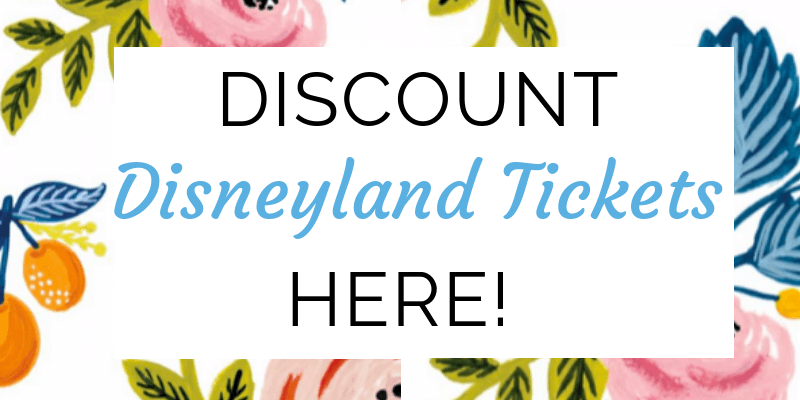 Wow, I never knew so much planning could (or should) go into a Disneyland visit! I’ve only ever been to Disneyland once when I was a teenager. We certainly didn’t have a plan! If I ever take my kids to Disneyland, I’ll remember to plan properly! Yes, the phone charger is a MUST! My husband loves DuckTales so he was stoked to find that shirt at Kohl’s! What an amazingly detailed post! I have never been to Disneyland and my youngest is 18yo but I might have to steal my 7yo nephew and go to Disneyland and tackle your list! Yes! Do it! Or go on your own! I think the close proximity of a hotel for napping is more important for me than for my children! LOL! I need my naps! Haha! That’s so true! I just need to lay down and put my feet up for a bit! 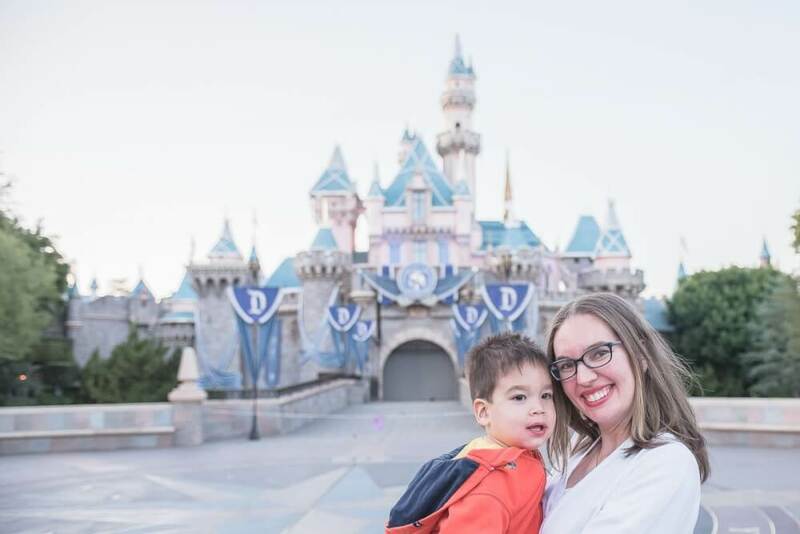 We loved Disneyland with out toddler, too! And it just keeps getting more fun as she gets older. Sending magical wishes for all your future Disney adventures! Yay! We’re heading back for a quick trip in October with a 4.5yo and 2yo! Can’t wait! We’re considering going to disney next year (with three kids under the age of 6) and this is super helpful. I pinned it for later. Oh yay! Glad to help! They will be in HEAVEN! You have the best Disneyland tips!! I am so excited to put them in to practice someday with my kiddos. My family loves to travel in the off season, so the heads up about the ride refurbishment is very helpful! Yes, it makes sense that they close some rides during the off-season. It’s really nice that they say which ones are unavailable ahead of time! Love your pictures! 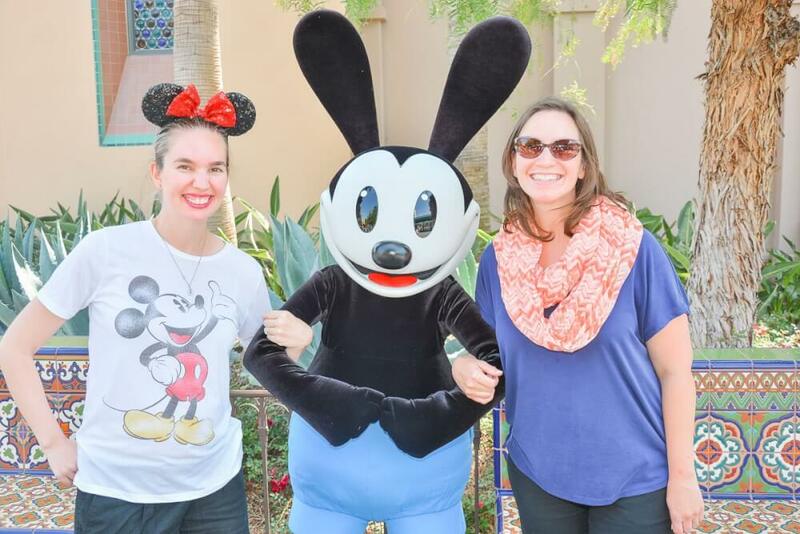 Such great Disney tips – it’s such a fun time but so many things to remember! Hah! Yes, lots of details! Thank you so much for the helpful tips. Im going to disneyland next month and worried about what i can and cannot do with a 2 year old toddler and pregnant me. Your plan seems realistic and easy to follow. When I come back im going to post my experience so other parents can have an idea about what to expect when traveling with a toddler. Yay! I’m so glad my posts are helping you plan! It’s totally doable and it’s all about managing expectations. Have a magical trip and can’t wait to hear about it!